Your business is going strong. Sales are booming and you’re growing at an excellent rate, but sometimes you need extra money to handle the expenses that come along with that kind of growth. If your business has things like outstanding invoices or a stockroom full of inventory, you may be able to get the funding you need through asset-based lending. Asset-based lending is a type of business loan that’s based on the value of a certain asset. Most commonly, asset-based lending involves a business’s equipment or outstanding invoices but in some cases, it can also include real estate. Asset-based lending is frequently used by companies going through a period of rapid growth and need extra funding to keep up with that growth. Many businesses also use asset-based loans to handle seasonal spikes in business. Asset-based lending can be accessible to smaller businesses going through periods of growth, but have a hard time getting a traditional business loan. 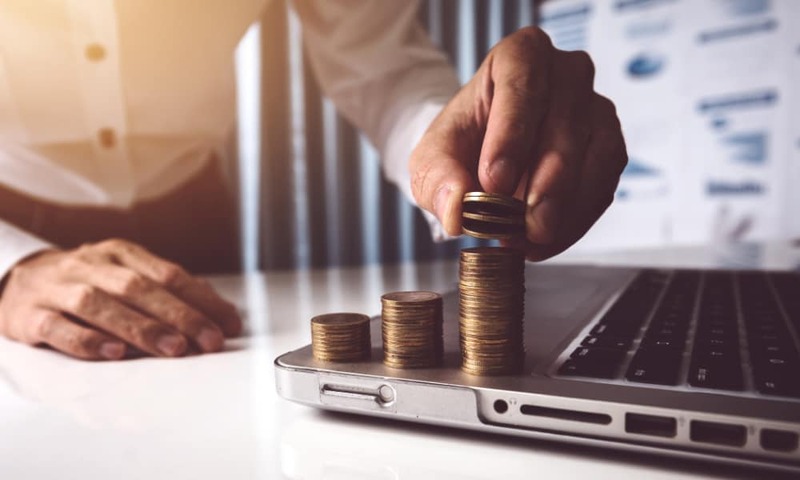 Since these types of loans are secured by the asset itself, a lender may be more willing to approve a loan for a business that doesn’t have an ideal business credit score, but shows strong growth. Lenders typically don’t loan the full value of an asset. Invoices are often financed for between 70% and 85% of their total value. Loans based on inventory are often financed at lower rates. If you are considering invoice financing, be aware that a lender might not be interested in financing some of your invoices. Many lenders are only willing to finance invoices issued to other businesses, not individuals. The amount of financing you can receive from an asset-based loan is tied to the quality of your receivables. For example, if you’re interested in invoice financing, lenders will be concerned with the payment histories of your customers. If you are considering inventory financing or want to use real estate as collateral, the lender may want to make an onsite visit to evaluate the assets and see what condition they’re in. An onsite visit may involve a fee that you would be responsible for paying for. Businesses with billing cycles that are 30 days or longer often run into cash flow shortages if they are left waiting for too many customers to pay their bills. When this happens, one option available to businesses is invoice financing. With invoice financing, the lender makes a loan for a large percentage of the value of your outstanding invoices. Although invoice financing is similar to invoice factoring, they are not exactly the same things. Invoice financing is a loan while invoice factoring is a transaction where your outstanding invoices are sold to a third party. If you consistently have a large amount of inventory on hand, inventory financing allows you to get a loan based on the value of that inventory. Inventory financing typically doesn’t cover the full appraised value of your inventory, but it can cover a sizeable percentage of its value. All types of businesses need equipment to be able to operate, but if you need a lot of equipment or a particularly expensive piece of equipment, it can be hard to pay for all of it at once. An equipment loan can make it possible for you to get the equipment you need while avoiding a large upfront expense. Some types of asset-based loans can be lines of credit. While the funds you get from a loan can only be used once, a business line of credit can be borrowed against multiple times. Since lines of credit can be accessed on an as-needed basis, many business owners like having one available to them so they can handle any unexpected expenses as they arise. Although asset-based loans are limited by the value of the asset and are secured by the asset itself, that doesn’t mean lenders won’t be concerned with how your business is doing. Lenders will want to see documentation showing that your business is doing well, so they may ask to see things like past bank statements, business tax returns, and P&L statements. If you are interested in inventory financing, the lender will want to see that you have a strong inventory management system in place. Lenders will also need to make sure your assets aren’t already being used for collateral for a different loan or could potentially be seized because of problems with taxes or other liens.